Ah, mother-in-laws. They could give many aspiring Peterborough brides a hell of a time. But why oppose forces when with proper handling these same forces can actually help you? The following steps are not tricks of the trade. Rather they are an extension of a heart that truly cares – a path that could lead you to marital bliss and lasting happiness. 1. Include her in your planning sessions. Traditionally, the bride’s mother takes on a more prominent role. But heck, why stop there? 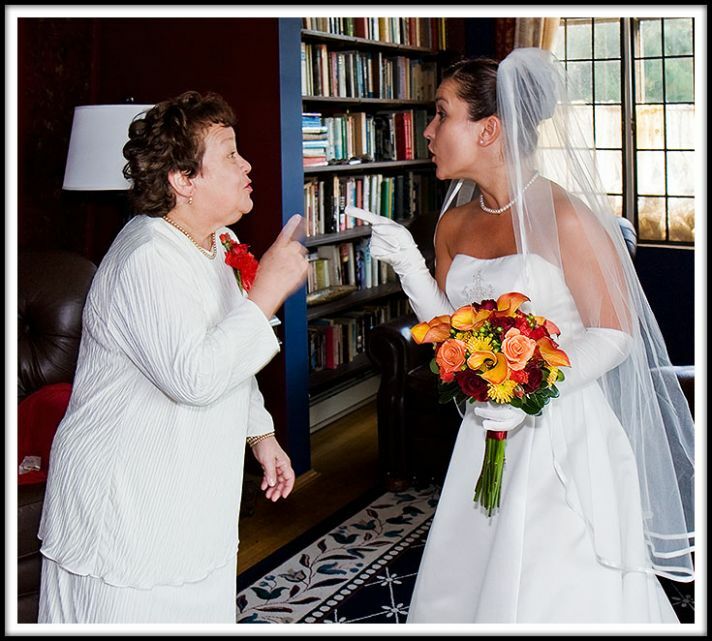 Getting your future mother-in-law on board when it comes to planning can get you unto a wonderful start. A good opener would be discussing what your mom and you mother-in-law would want to wear on your “big day”. 2. Make use of her talents. If your mother-in-law to be is good in making designs, why not ask her to design your decorations? Or you invites for that matter. Working together not only strengthens your relationship, you are bound to save money from free talent. Just make sure it’s really talent. 3. Ask for her assistance when it comes to guests. Yes, another vital job. This is especially applicable to out-of-town guests. You could ask your mother-in-law to help you out with guests who need to stay in a hotel. Make her the go-to person, for instance. Just make sure roles are spelled out right as these can be an area of contention. 4. Offer assistance in the rehearsal dinner. Rehearsal dinners provide a perfect opportunity to bond. As a venue for all key players in the wedding (e.g., bridesmaids, groomsmen) to meet up, you could offer your hand in drawing up and contacting the guest list, for instance. 5. Support the mother-son dance tradition. The wedding is the first day of the rest of your lives as one. On the other end, it is also the last day for a mother to see his son as a single individual. Supporting the mother-son dance can be a great boost to this changing relationship. Apparently, there is no need to take drastic steps to make the relationship with your future mother-in-law work. But it sure takes a lot of heart.